"Knock, knock ... - Come in!" 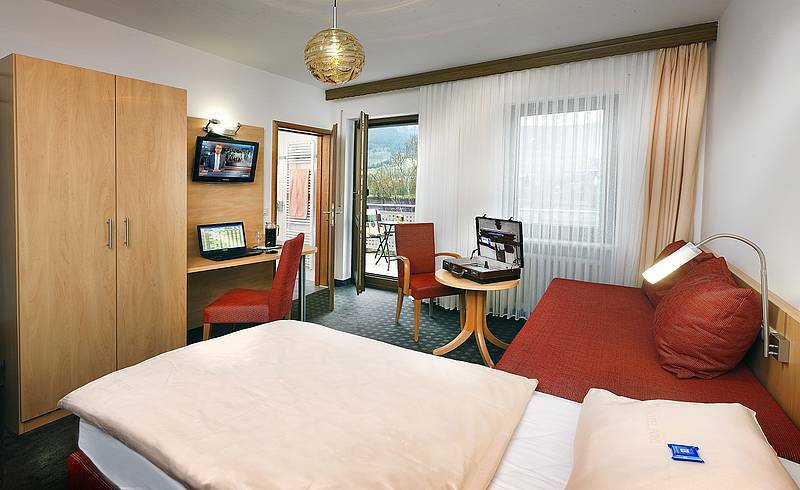 Take a rest in one of our beautiful rooms and enjoy your stay at the Moselle valley in a relaxed atmosphere. In addtion to our existing cozy rooms in the main building, recent modern rooms are now added in the annex. These also offer all the comforts. 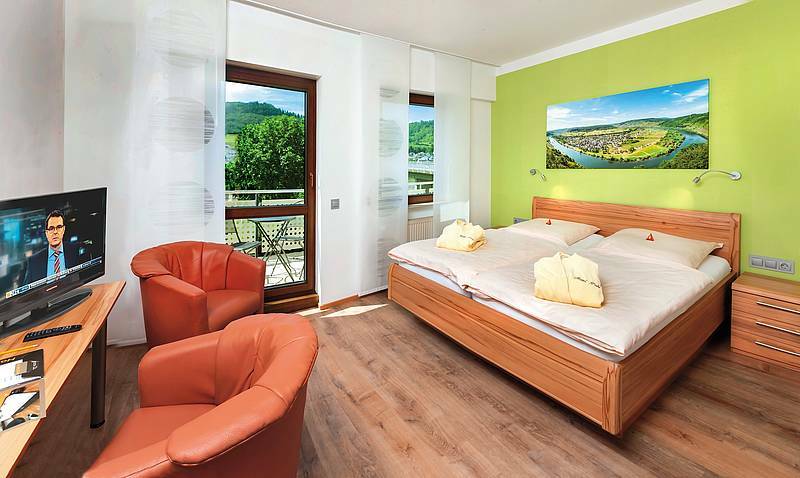 You have the choice between our Hubertuslay rooms with balconies overlooking the Moselle and our Rosenberg rooms without balcony (some overlooking the Moselle). 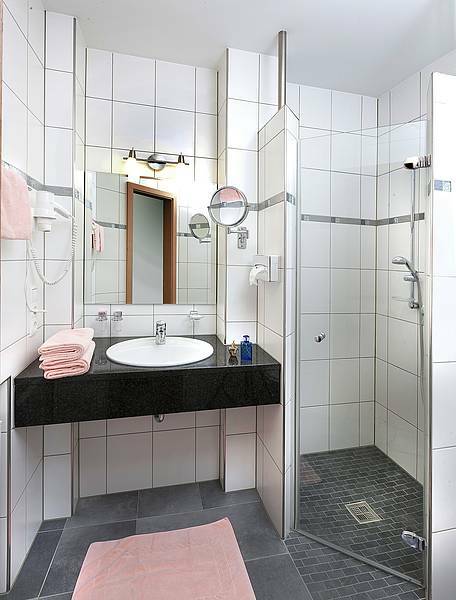 All rooms are equipped with TV (25 channels) and a safe deposit, bathroom with shower, toilet, vanity mirror and hair dryer. 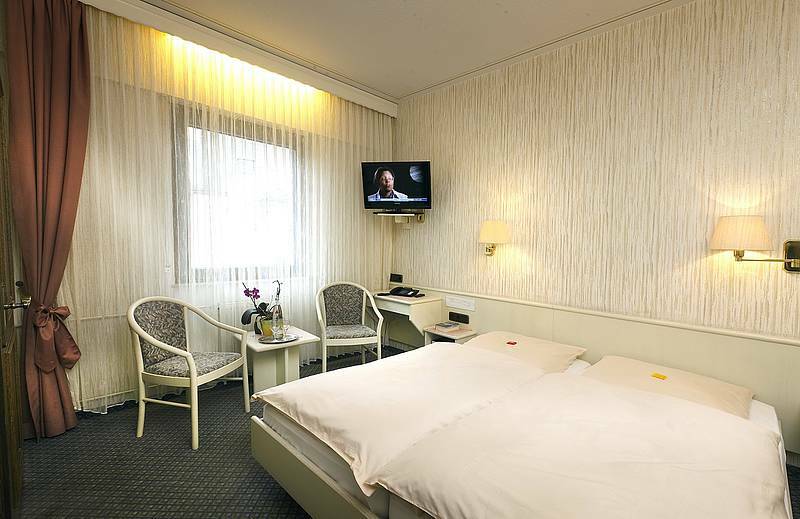 The hotel has a total of 6 single rooms, 25 double rooms. Rooms are available on arrival from 3:00 p.m.
We would like to ask you to have vacated the room on departure day until 10:00 a.m.
We offer free WLAN to our guests.